well, well, well ... what have we here? let's get ready to limbo. yo mama so crazy ... she did that. Straight forward disclosure from me to you: it's a big, bad sponsored post! I still used my usual brain to write it, though. Last time I threw one of these down it was about diapers (and I learned that my fellow mother hens have strong opinions about diaper brands ... as they should) because diapers are kind of like the 6th member of our family right now so it made sense to type (and type and type) about them. I didn't think the today's content (despite the hilarious commercials) was necessarily the best fit for our family but then I read a tiny bit more about the product and came to my senses. 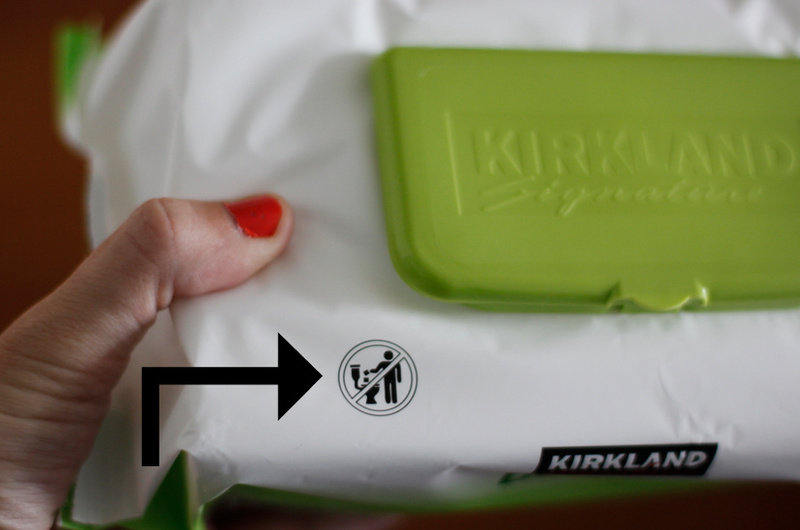 I solemnly swear that I will not be blogging about feminine hygiene products .... ever. If I do ... boycott the Camp for GOOD, please. Disclosure done. Julia is pretty much completely potty trained. I do throw a safety net by way of a diaper on her for naps and bedtime only because I'm not the biggest fan of urine saturated sheet roulette but by my low standards: she's potty trained. Aside from the terribly timed, "I riddy riddy need to go to the rastroom" announcements that are never not trumpeted in some sort of inconvenient public situation ... I prefer potty trained to not. My only teeny tiny complaint would be that after she makes a certain visit of the second variety to the ladies room ... she lacks the understanding that a very thorough cleaning job should be completed and always has to be talked into getting a little help from mom or dad. Or Sebastian ... but that never goes over well. I know that's perfectly normal. Maybe there are gifted little three-year-olds out there that get it and do the wiping thing with ease and flying colors but I would imagine it's not the norm. ... plus our toilet is ancient and temperamental and does not tolerate shenanigans of any sort. 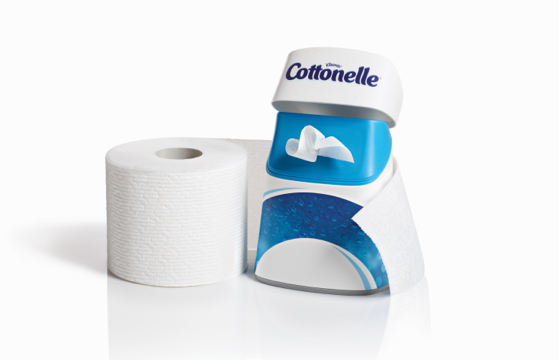 Enter the Cottonelle Flushable Cleansing Cloths. They break up after flushing and are completely toilet and septic safe, don't have a strong or flowery scent that I tend to hate, and are most definitely helping Julia forge onward toward complete potty training independence. ... they've helped immensely and I have a feeling that when I'm tethered to the couch with a nursling in several weeks ... I'll be really grateful for the extra help in the, "Julia needs halp!!!" department. + phone screen cleaner. the best on the market ... and I've tried them all. + and my absolute favorite: mom's fake-a-shower helper ... let's elaborate on that a bit because I'm curious how other moms handle the old shower conundrum. It seems like the classic hallmark of new motherhood is never being able to shower and 3.5 years later ... it's still an issue over here. It's not uncommon for me to stop and wonder when the last time I showered WAS exactly. This was one of those days. Stereotypical to the maximum. I've resigned myself to showering at night after the kids have done down but I hate when it cuts into time with Simon and I hate going to bed with damp hair (and I hate the 25 minutes it takes to fully blow dry my locks). C'est la rough, rough life for Grace. Any tips are appreciated, as always. You always pull through. But in the mean time ... I'll be faking showers left and right with the help of my favorite hair powder and of course ... Cottonelle cloths. Thanks a million for reading. And thanks a zillion for shower scheduling advisement. My showers are generally during nap time, unless I just have too much to do... in which case it gets bumped another day. I'm jealous of your unshowered hair! I almost always need a hat if I go out anywhere. Do you use dry shampoo? P.S. Hooray for mostly-trained three year olds! So don't think we're crazy but my husband has been using these for years. So I have had a go with them myself. And not only are they good for the "I didn't get a shower today" but they are delightful for the postpartum visits to the bathroom especially. Take 'em to the hospital. Way better than the squirt bottle thing. This was going to be my advice too. 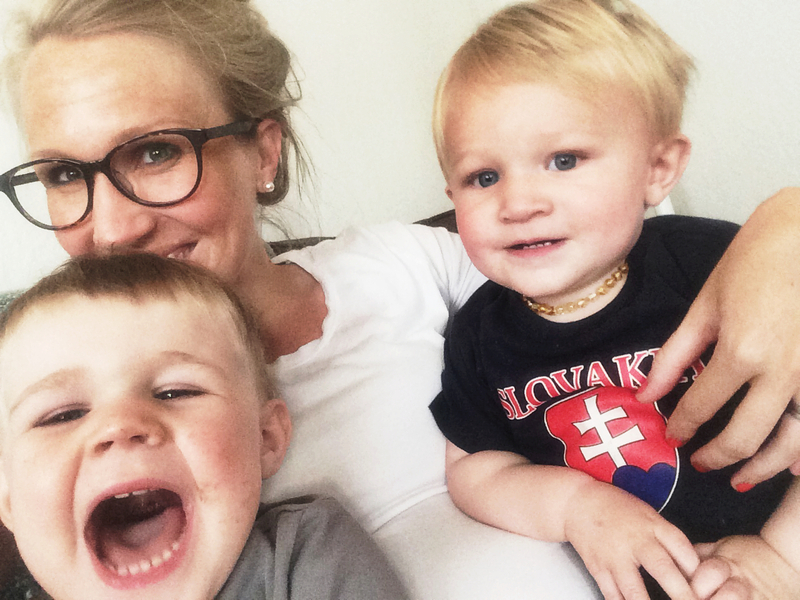 They are great postpartum! I would strongly suggest Boogie Wipes (actual name) for Julia's little nose. Can be found at le Target - it's like a much thinner baby wipe and does wonders on crusty noses because it has saline (grossest comment ever? possibly). As for the wipes, I clicked clicked clicked for you. And will probably succumb to your excellent marketing and try them out. I second Laura! Tis the only way... For me to get a shower regularly. I am a grandmother now after 5 kids, and that is the only answer I ever had. Just beat 'em to the punch and get up early. That solitary time will become very precious to you. When mine were little I would park them on my bed with some PBS show on the TV and fly through my shower. I didn't care about the "naked in front of them" thing when they were little. If I had a baby, I would put him in the bouncy seat and put it on the floor of the bathroom in eyeball view. I hate not showering each and every day. I know, I know. But if I don't, I feel like my day doesn't get going. We have used potty wipes FOREVER. Have them in every bathroom. Although we use the Costco brand now that they have them. But I like the look of the new dispenser, definitely. And I was "helping" with the wiping WAY longer than age 3 for some children. No advice--we're a couple of months away from #3, and I'm starting to think that the night shower might end up being the way to go. Where did you get Theo's Slovakia shirt? Love. Someone actually passed it down after her son grew out of it. Her husband did a tour in Slovakia with the military -- so it came straight from the source. Pretty crazy!! We love these!! My husband has been using these for years to "shower" when the army sends him to the field for weeks. They are the best!! But I have never seen that niffty little dispenser, I need that! And I fought the good fight, but gave in to showering at night. Love these wipes! And the slovakia shirt!!! Hmm, I never thought of these for potty training. Easton has finally conquered the gamut but still need to "be check for freshes" (be checked for freshness). I will be picking these up. I had to give up my beloved long shower during nap because Easton hasn't taken a nap in over a year but all of a sudden can't be trusted, so night showing or the occasional SOS to my sister are the only chances I get. But let's be honest, I have a 3 year old and a 1 year old-I don't know the last time I washed my hair and showered for more than 5 minutes! Quick shower with my hair in a bun. Batiste Dry Shampoo for the hair. Maskcara (do you follow her? so cool. and pretty.) wrote about her shower problem, which is basically mine: you finally gear yourself up to take a shower, and swear to yourself you WILL blow dry your hair when it's over. Buuuut...by the time the shower's over, you're tired. Your bed looks nice. Aaaannnddd you don't blow dry your hair afterall. In college, when I had energy for such things, I could actually go to BED with my hair wet and it looked GREAT in the morning. Like, super 80's curly awesome. But not so much anymore...I wish I had one of those head shapes that could handle a head scarf/headband. The main way I get showers is at the gym whilst the kiddos are at "Kids Club." It's actually one of the main motivating factors for me actually going to work out. But, I do like to enjoy at least one or two showers at the home front - either on the weekends when my husband is home or while the kids are napping (but that requires their naps to line up and me not to be exhausted at the same time, so...rare). I sleep til I hear the first kid stirring (normally 6:30-6:45am) then jump in the shower super fast, take a quick 5 min or less shower and only shave my legs every 3-5 days) then throw on a bathrobe and release the kids/make coffee/breakfast. Then get dressed and let my hair air dry/super light makeup once things are settled (like 8-9am) and I can normally leave the house by 10am with me and the kids dressed. I figure the kids are safe and separated (Joseph in crib, Nick in swing, Grace in toddler bed or sometimes watching me) so it's worth for me to get a shower and coffee every morning even if someone's crying for 5-10 min. And my husband always leaves for work by 5:30 so I am on my own mornings Mon thru Sat with 3 month old, 2 yr old and 3 1/2 yr old but I really need morning showers but this works pretty good. I am NO help in the shower department, but I wanted to comment to say that I am just adoring how Theo's arm is propped on baby numero (if I knew how to type an e with an accent on a PC, I would) quatro! You make me want to be pregnant. Ok.... Veteran mom here giving you the gentlest (though still unsolicited. Sorry!) warning that your beautiful clavicle decorations and your eyeball aids just might end up in the ocean... near 42 Wallaby Way in Sydney... with 3 little cherubs in the house. That would be so very sad, because they are so very pretty. And how have your children not broken that shelf? Now I'm really convinced my children are mutants. the shower thing!!! i have wondered, soo wondered how other moms do it, but i came to the conclusion that... there is not conclusion. and i guess that's accurate. i am just thankful that we've reached a fabulous toddler age around our parts where curious george is babysitter enough for me to take a hot hot hot shower! because sharing a lukewarm bath with an infant was sweet for a while but then mostly cold. When you find out how to fit in showers, please write a blog post about it because I'm in desperate need for some tips on keeping personal hygiene. Because sleeping with damp hair = annoying and gives me a headache. Showers = playpen time during the day plus sesame street for older kids. 18 month old goes to the pen, 3 and 4 year old are transfixed for 1/2 hour and Then I have time to take a nice long shower. Do this after breakfast. I know its prime activity time or kids are best behaved then blah blah blah but its also when they sit stillest so I can do a quick shower and then dry as needed... of course my bathroom is right off where this all takes place and the door is open. Ugh the "Mom I need a wipe!" while I am sitting nursing is definitely a conundrum for me. I have gotten pretty good at one handed nursing and wiping. Also, I need some help in the shower department as well. I don't like to take time away from getting to spend time with my husband and I , too, hate going to sleep with damp hair. Also, I have a THICK head of hair so it takes a long time to blow dry. They are both asleep right now, so I may have to hop in the shower. we use these bad boys and I use them for EVERRRYTHING. And PS. try Boogie Wipes for Julia's nose. I would wipe my little drama king's nose all day with those blessed things. When I had my hemmorhoid surgery the surgeon recommended toddler wipes because they have fewer chemicals and alcohol and stuff that will upset the delicate balance down there. They also come in flushable versions. Of course, he said the best thing to do is to use a squirt bottle and rinse with warm water and then pat dry rather than use tp to do a dry clean up. These things may matter someday after you've birthed many, many children. Right now I'm dealing with the fresh hell that is fissures... nothing like having parts of your body just randomly OPEN UP. Anyways... my routine when the kids were little was always bath in the evening when I could relax and a quick shampoo in the sink in the morning. I'm not sure bending over a sink at your gestational station is a great idea. Boogie Wipes are the best! And getting up early to shower is my best advice. But I have the finest, least hairs of any thirty year old woman and it takes about 3 minutes max to blow dry. So...my advice may not be for everyone. I too have a reluctant wiper, but I worry encourage him to do it himself, he'll just deposit a full roll of toilet paper into the bowl, and if there's one thing that's even worse than wiping butts, it's plunging toilets. So...I think it might be time to give these wipes a try. Thanks for taking them for a test drive, for all of us. great job on your post...! 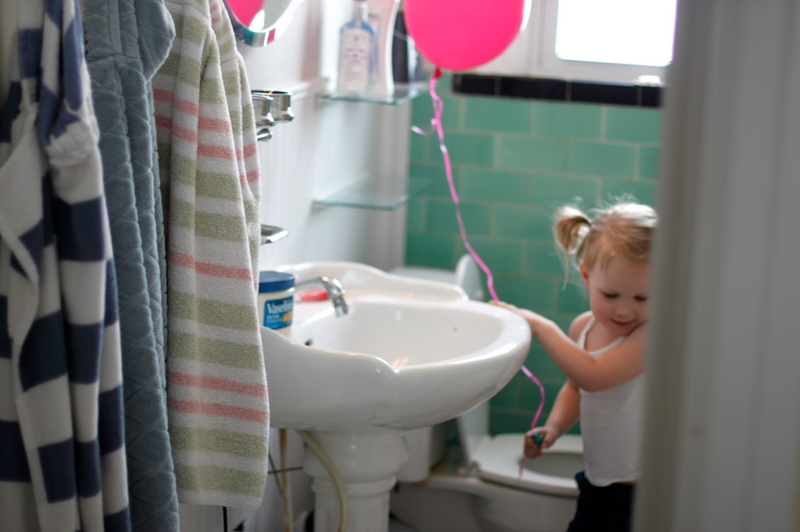 I am working on my cottonelle post today...which it has reminded me how much I loathe potty training. Not to rain on everyone's parade but I heard a thing on the radio that says the the advertised as flushable wipes are not really flushable and are causing havoc on the septic and sewage systems...costing millions to fix etc. just so you are aware... You can google it and there are tons of stories on it. Totally off subject of the wipes - but St. Louis allergies are THE WORST. Read up about cosuming locally harvested honey for helping to fight allergies. I know quite a few people in STL who have said it really works! Check out the Soulard farmer's market or Tower Grove for some good local honey! I read lots of reviews about different kinds of diapers. This was the one I chose to buy! I ordered a few one size diapers and a few large size ones.